A wedding might take years of planning. This memorable day comes only once in life, passes with a blink of eyes, and leaves some memories which we remember till the end of life. Your wedding photo album is the only complete documentation of this auspicious day, which you can share with your family and friends even years after. With technological advancements and particularly with the advent of digital technology, most of us do not print photos. Most of the photos remain in our pen drive or in any digital form. But a big print has a special charm. People with a sense of art always prefer to decorate home with memorable photographs. They can use digitalization of photography in a positive way.Decorating a room’s wall with beautiful framed photos is a great idea. Preservation of wedding photos in a creative and scientific way has a traditional value, which preserves the traditional values of a family. If you can preserve them in a scientific way, they will remain spotless even after your death and would be viewed by your successors. 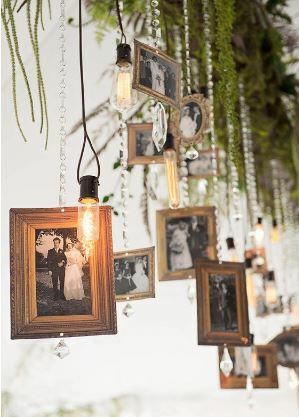 The age-old wedding photographs on the wall could make one feel nostalgic. This is the traditional way of displaying wedding photos at home. Framing pictures with costly decorative wooden frame is costly enough. To solve this problem, laminating pictures without frame emerged. Hanging some big laminated wedding photos in living room’s wall is a classic idea. Because of its largeness, it draws attention of every visitor. Black and white or sepia toned photos are the best match of light-colored walls. Place them by the side of your bed. Laminated photos last for a very long time without being affected by moisture and insects. At the same time, this is much cheaper than wooden-framed photos. 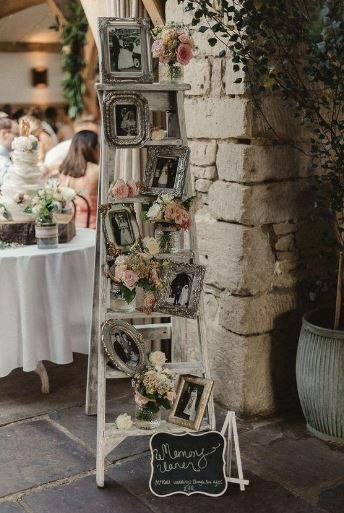 Displaying photos in decorative wooden frame is a classic and traditional idea, which is best suitable for showcasing marriage photos, it’s a little bit costly though. However, the tradition of wooden-framed photo is declining, but still some consider it to be the best way of displaying photos and paintings. There are varieties of frames available on market. Before selecting any frame match with the photo, look at the design and color of the frame. Like dark chocolate color wooden frame is the best match for sepia toned photos.You can arrange multiple framed marriage photos on the wall to achieve a decent look. 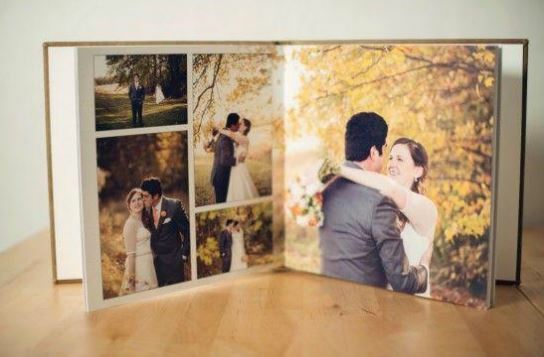 Printed album is another classical way of showcasing marriage photos. This should be the top priority of any newly married couple. As I mentioned earlier, another aspect of photography, apart from aesthetic value, is nostalgia. Printed photo album lasts for very long period of time, if preserved correctly. In addition to that, this can be illustrated in various artistic ways. You can also purchase a blank album and stick photos with glues to create a beautiful collaged photo book. But collaged photo book is difficult to maintain as they are not weather-resistant. You can make them insect protected by mixing some copper sulfate with glue. 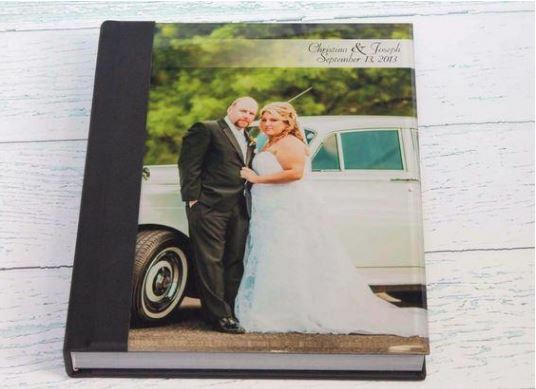 Nowadays, people prefer to make printed photo book because it offers many protective features like scratch free, weather resistance, and insect protective. Even you can make a few copies of this album and gift it to your relatives. Displaying photos with frame on each ladder steps is really an innovative idea. This is very purposeful to enhance the beauty of your classically decorated living room. You can change the location any time you want to give it a new look. Before making it, take the measurement of free space available between two steps of the ladder and frame the photos accordingly, so that they fit properly. Along with the frames, you can put some flowers occasionally to make it more attractive. This is the perfect way to celebrate your marriage anniversary. 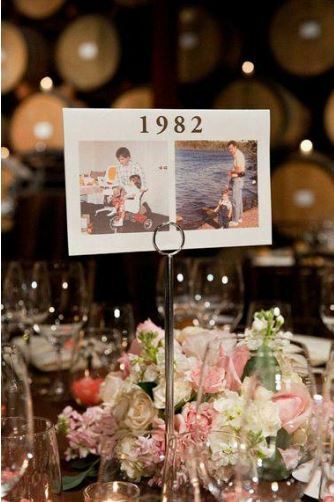 Displaying wedding photos on your dining table is really a wonderful idea. You can print you and your wife’s single photo separately and paste them on a card side by side or you can make a print and place it on “I” shape photo holder. This is perfect to place at the center of your dining table. Your guests will get amazed at this whenever they will have food on dining table with your family. You can hang three big sized laminated wedding photos on the adjacent wall of your computer table. Arrange them in a way that they form a rectangular shape. You want a vertically oriented photo and two horizontally oriented photos. 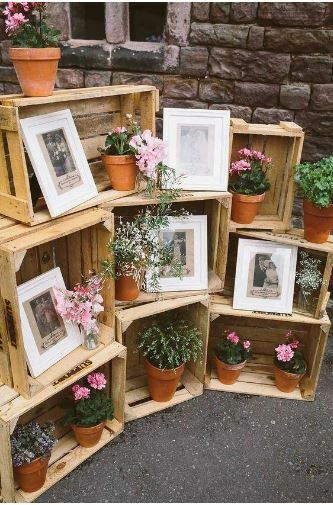 Place some square and rectangular shape unprocessed wooden boxes in a way that they form a showcase-like shape. You can decorate the corners with some synthetic flowers. Put vertically oriented photos in square boxes and horizontal photos in rectangular boxes. Your photos should be framed with good quality wooden frame to make it attractive. You can place this setup in a suitable corner of room. But do not place them in a position where they get direct exposure to sunlight. Excessive exposure to sunlight makes color photos fade over time. Make some both side laminated photos. You can put your photo in one side and your wife in another side. Hang a few of them closely with decorative metal chain. or rope from the ceiling. You can place them above a corner table. These photos may revolve with air. 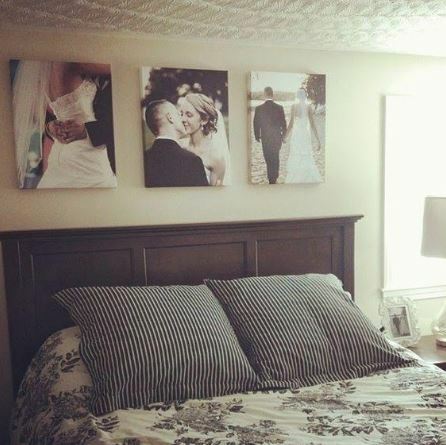 This is a unique display idea of wedding photos at home. You can hang some low to medium power light bulbs along with photos to create a nostalgic environment. Black and white or sepia toned photographs are the best choice for this kind of innovative display. 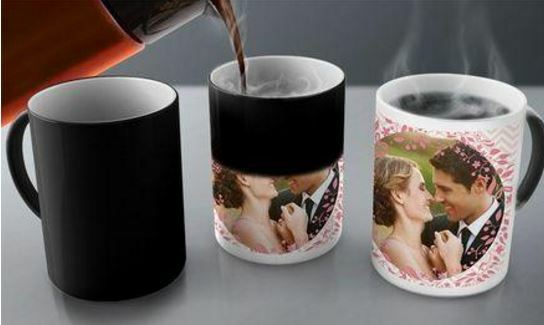 The exterior of a coffee mug can be printed with wedding photo. A close-up shot of couple is the best match for this. Whenever you both have coffee in the morning, the coffee mug can make you both emotional that helps to maintain a perfect bond between you two. Use only high-quality large coffee mug. If the mug is of light color, choose a soft color photo, if you have some idea of color scheme. Some like to display marriage photos in an unconventional way. For them the idea of a photo tree is the best. This is a pretty simple idea. You can make a tree shape with GI wire and place it in a pot. Then hang photos from sub-branches. You can also decorate with some flowers. I would suggest you to laminate all photos to prevent damage and make them moisture-resistant. If you do it properly, this piece of art will also last long. Place it on corner table or on center table according to your choice. 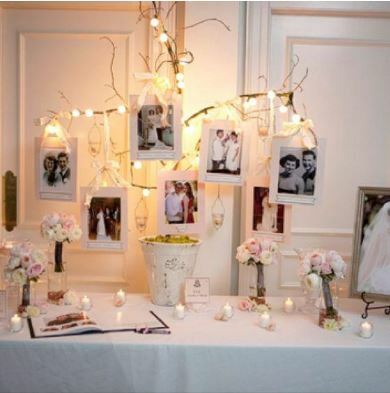 You can display wedding photos by clipping them on a rope or wire in a series. This is a very simple idea. In the old days, photos were left to dry after development in dark room of studio in this way. Probably this concept is developed from studio dark room. However, this will look decent if placed in correct position. 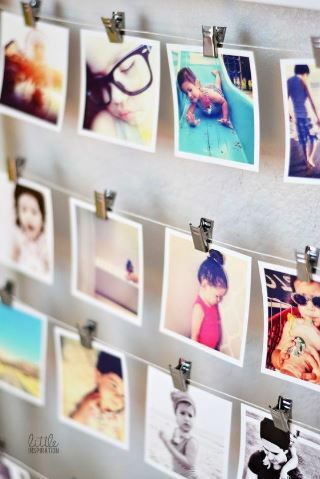 You can display a whole bunch of photos in this way. 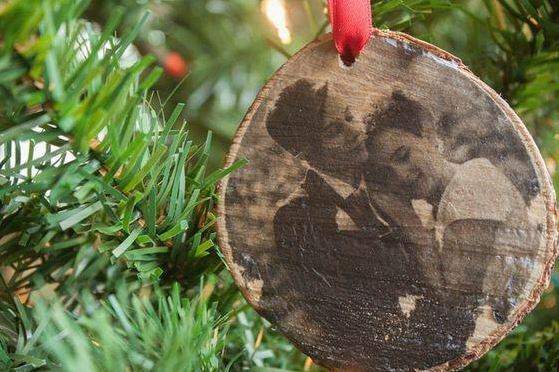 Transferring wedding photos on wood is a novel idea. If you are fond of innovative ideas, this could be the best option. 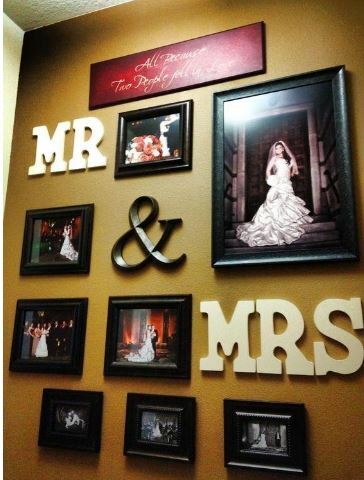 You can make a marvelous display of your marriage photo. Close-up black and white or sepia toned photo is perfect for it. This will create a vintage look. 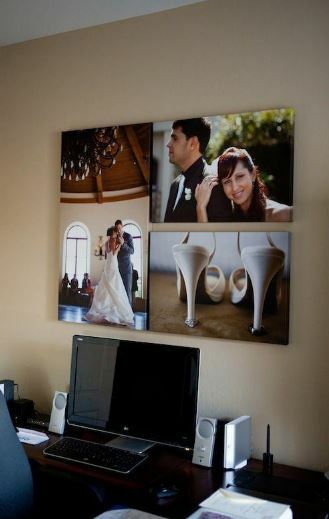 Turn your home into a creative studio by displaying your wedding photos in your living rooms.